Umberto Felci is a famous name in the world of racing sailboats, designing some of the fastest and coolest yachts you can see on the water. 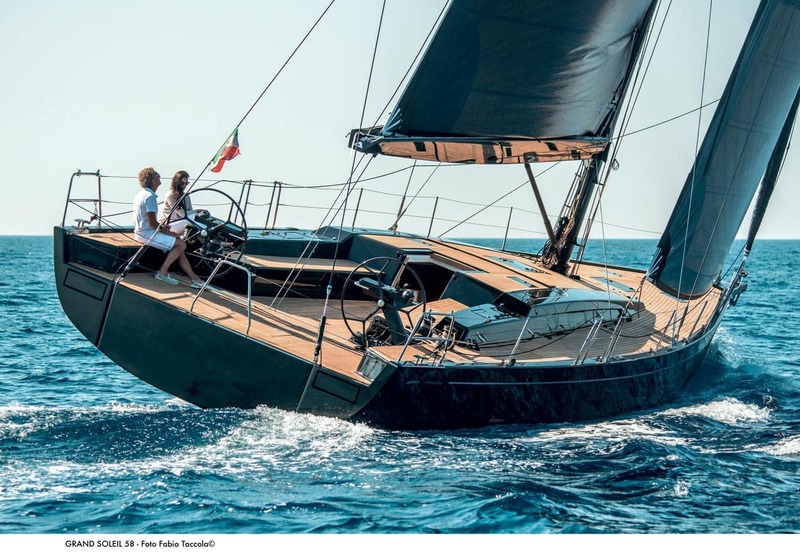 ‘Father’ of the boats like UFO 28, he is also strongly bonded to the world of non-racing, production boats, his studio is inseparable to Dufour shipyard for which he designs all the projects including recently introduced Dufour 63, revealed at the Düsseldorf Boat Show this year. Since when have you designed for Dufour and how did this collaboration start? I started to collaborate with Dufour Yachts in 2002 when I was asked to design the naval architecture of the new performance range. 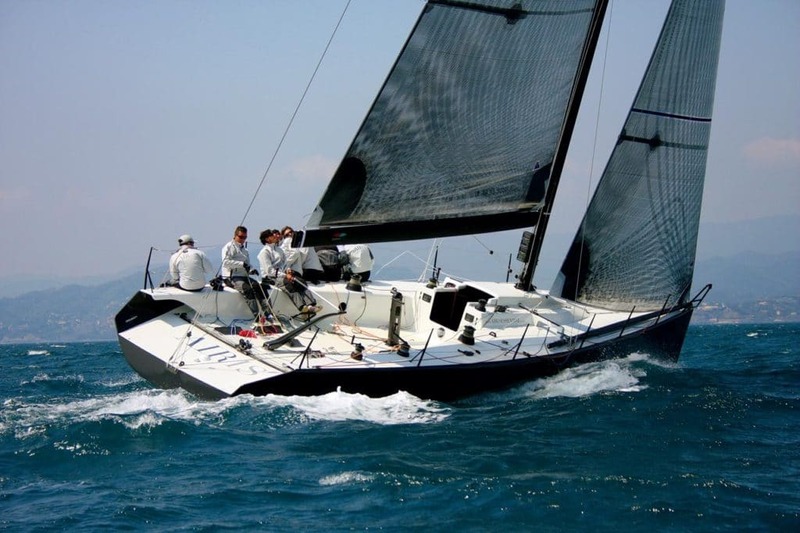 The Dufour 40, 34 and 44: all three were fast cruisers that have had a lot of success both from the commercial point of view and from the racing results perspective. What does this mean for you as they are ‘mainstream’ sailboats not racing boats? It wasn’t my first experience in the non-racing sailing yachts world, but it was my first with an experienced and well-known production yachts builder. It was very interesting and challenging from many angles. You have to design a yacht that is fast, beautiful and easy to use. Then you need to imagine you don’t have one unique client to satisfy, but rather, many clients with different wishes. Lately, they presented a 63, their newest and biggest model, can you comment on this yacht? From my point of view this is a very innovative yacht. It is, typical from Dufour and Felci, a real sailing yacht capable of optimum sailing performances, but this time we have added extra functionality outside, in order to help the owner enjoy his vacation aboard better. We have also not forgotten about the inside, where, thanks to a new ‘home-like’ style, I think we have opened the door to a new way of living aboard. Maybe less ‘traditional sailor’ style, but for sure the new features are a lot more comfortable and in line with the times. What is the best description of the Dufour range for you? Dufour Yachts boss Salvatore Serio is very careful to produce a real sailing yacht. This is always a key point in any brief. Real sailing yachts dedicated to real sailors – so, fast, comfortable and safe. This is the foundation that has never been forgotten and it is on these grounds that he asks for new innovations. Innovation solution, details, concept and style. Hard to follow but the commercial results demonstrate that Salvatore Serio’s vision pays off. From my side, I can say that in any Felci Yachts design, our performance DNA is always present along with the love for details, style and perfection. All of these combined aspects produce a great yacht. You also (re)started a nice collaboration with Grand Soleil? For Cantiere Del Pardo we designed many boats in the past, like their larger – Grand Soleil 72 Custom, the GS 44, the 45 and the GS 50. The latest one was designed together with Nauta Yachts and was the Grand Soleil 58. An interesting experience and a good commercial success. You were an accomplished dinghy sailor and sailed for FIV when you were young, can you give your best moments from those times? It was a fantastic experience. I started racing 420 at 14 and I finished racing 470 at 30, after two Olympic campaigns. Even though it was my passion, it was something akin to work and could be very difficult at times. Many hours of training, racing and travelling around Europe. But I was lucky, I had a great sponsor, so I had the opportunity to make it at a top level for many years and, in parallel, to find the time to proceed with my architectural university studies. Fast sailing boats that marked one era was your ‘drive’, some of these boats like Angelo Rosso are still very competitive in Croatia, which boats do you consider most important and why (UFO’s)? Not only Angelo Rosso, but also Bravissima, ClandDesTeam (the garda lake racer) and Vento di Sardegna (Open 50 ex Wind – that took part at the Vendee Globe in 2000-2001) are still winning. It’s nice to see now that those old projects were ahead of their time and are still a target to beat today. Also, the UFO 28 was an innovative project too, it was my fifth project and the first which went into a production series. It’s rewarding to see them all still racing in Trieste, with so many elite sailors still enjoying them. Among your new projects, what would you select as the most interesting? Actually, we are focused on many new, diverse and interesting projects – fast cruisers are one design and we have some new projects for Dufour and a couple of new exciting, large custom yachts. We are evolving 360° in order to continue to create better and better projects. Elegance, comfort, safety and of course, speed. Are there other areas where you are involved in design? My company is specialized in sailing yacht design and I assure you it’s enough. We like to manage the complete project so we usually develop the naval architecture, the design style, the interiors architecture and style, then we study the structure and the hydrodynamics. There are so many aspects and details to follow that we need to remain focused on this. We are now also working on a catamaran, this is a new and interesting challenge for us, but, it is still in the realm of sailing boats. Do you know Croatia, and if you do, how? Every year I take a rest, with a couple of weeks sailing in Croatia and I think I’m becoming quite an expert on all the beauties. I love the variety of islands and together with my family, we are discovering fantastic new locations every year.